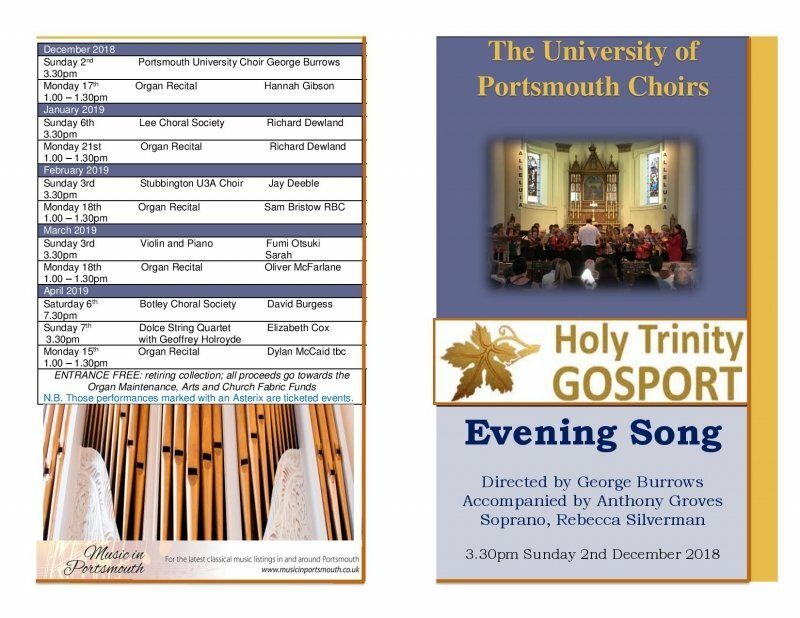 We couldn’t be more thrilled to be welcoming George Burrows and the University of Portsmouth Choirs, accompanied by Anthony Groves and featuring soprano, Rebecca Silverman, in their tea-time concert, ‘Evening Song’, 3.30pm, Sunday 2nd December at Holy Trinity Church, Gosport! We are expecting 120 voices to swell our wonderful acoustics, creating a sound not to be missed . . . A very warm welcome awaits you plus a concert to celebrate ‘evening’ and the winter season! Do please join us for a 3.30pm start; FREE ENTRANCE with retiring collection with tea and cakes to follow – last one this year ! . . . 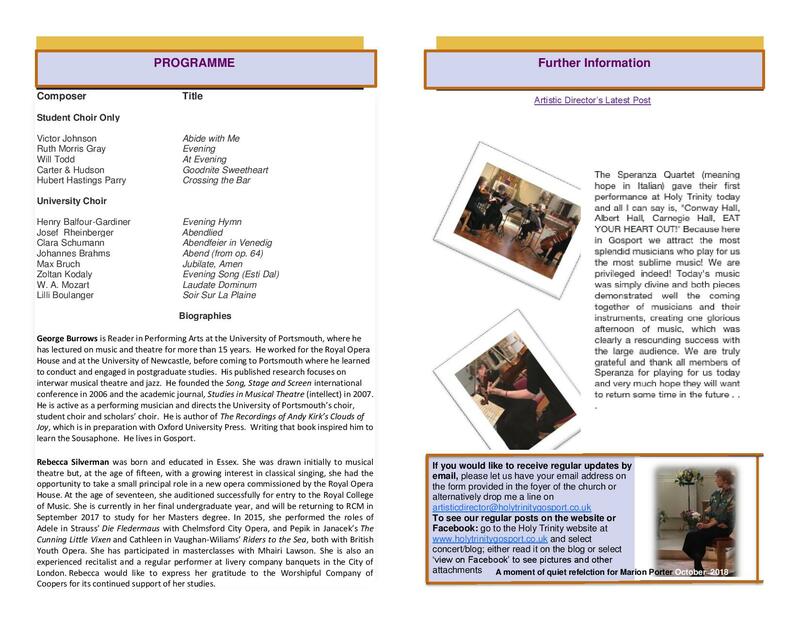 Please see programme attached.